Townhouses only $120. Coupons may not be combined with any other offer. With Valpak® coupon only. Must present coupon at time of purchase. Coupon void if altered. Expires 05/07/2019. $7 with storm window. Includes FREE window sill cleaning. Coupons may not be combined with any other offer. With Valpak® coupon only. Must present coupon at time of order. Coupon void if altered. Expires 05/07/2019. Includes Sealer Protection for 2 Years...Guarantee! Coupons may not be combined with any other offer. With Valpak® coupon only. Must present coupon at time of order. Coupon void if altered. Expires 05/07/2019. BER Sercvices, Inc. services Northern Virginia and Central Maryland. We specialize in Low Pressure house washing, composite deck cleaning, concrete sidewalk & delivery cleaning, deck & fence cleaning/sealing, patio cleaning, and much more! Trust the licensed and insured professionals at BER services to have your home looking new again! We offer FREE quotes, affordable rates, and guaranteed customer satisfaction! 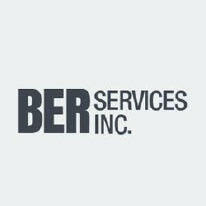 At Ber Service Inc, we are focused on providing cleaning services with the highest levels of customer satisfaction - we will do everything we can to meet your expectations. With a variety of offerings to choose from, we're sure you'll be happy working with us. Look around our website and if you have any comments or questions, please feel free to contact us. We hope to see you again! Check back later for new updates to our website. There's much more to come.